Every beginner webmaster has one day confronted the very first step in the adventure of creating websites. This is obviously the choice of a good web hosting ! Among the jungle of offers now available on the Internet, it is difficult to see clearly. We have decided to make a small comparison to help you see more clearly. Here is our list dedicated to the best web hosts on the market! The unique offer. One accommodation, all unlimited, for € 5 per month. Affordable shared hosting: from €2.95/month. Installing a CMS (WordPress, Joomla) in one click, convenient. 4 offers: from the blogger to the company, everyone will find his account. Hostpapa : cheap accommodation made in France ! How to choose a web hosting adapted to your needs ? Select a shared hosting provider or VPS? Price: from 2.95$/month Bluehost is a classic web hosting provider offering shared, dedicated, Cloud and VPS hosting solutions. Compared to its competitors, it does everything right, for a low price. The main disadvantage during our tests was the impossibility of installing several sites on the basic offer proposed by the host. A very interesting option when you plan to create several sites without spending a fortune on web hosting. Click here to use Bluehost. The specificity of o2switch lies in the originality of its concept. The web host is looking to simplify its offer as much as possible, with a simple concept. A single offer, unlimited, at a low cost! No starter/medium/premiums offers with ever-increasing functionalities. Easy to sleep on for a long time. Unless your site exceeds one million unique monthly visitors, there will be no need to go elsewhere. Click here to test the unique offer of o2switch. 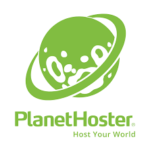 Just like o2switch (its main competitor), Planethoster offers a unique web hosting offer, all inclusive…. Except that it costs 7€/month at Planethoster! An argument that could tip the balance in favor of o2switch. However, Planethoster offers a strong argument to attract new webmasters. Planethoster offers a free service called “Word Lite” that allows neophytes to create websites for free. Click here to test Planethoster hosting. If you are creating a site for the first time (for example a blog on which you could post content related to your interests on a daily basis), the shared hosting offer is the one that will necessarily attract your interest. Indeed, a shared hosting allows, as its name suggests, to share a server with other websites. This reduces costs and will allow you to benefit from a server on which to install your site for a very low price. And unless your site explodes overnight, a shared hosting will be enough to get you started. Hostpapa also offers dedicated WordPress web hosting. However, we did not consider it to have sufficient added value. Importantly, Hostpapa allows the installation of a content management system (or CMS) such as WordPress or Joomla in one click. Extremely practical, having personally tested it several times. Finally, the possibility of installing two sites on a single web hosting as proposed here is the “icing on the cake”. If you regret your first initial choice of domain name, this feature will allow you to install another site, at no additional cost. Click here to test Hostpapa‘s hosting offer. 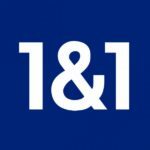 1&1 is the basic and ultra affordable reference hosting provider. Indeed, the basic offer starts at 0.99€/month, which makes it one of the cheapest hosting providers on the market compared to the other players. However, for the price, you benefit from the minimum union fee: SSL certificate offered, domain name offered the first year, as well as only one site to host. The service is minimal and will be suitable for the most economical. Obviously, other premium offers offering more features exist. Click here to see the different offers of 1&1. LWS is a historical French player (since 1999!) in the web hosting sector. Known for its quality servers based in France, the brand offers 4 web hosting offers, in order to offer both small webmasters and large companies an exceptional range of offers. Many hosting packages optimized for the main CMS on the market are also part of their offer. Click here to see the offers offered by LWS. In the end, these are fairly easy to find parameters. The world of hosting providers (in France as elsewhere) is indeed very competitive and tends to drive prices down, for the happiness of the consumer. Web site hosts have understood this and are offering increasingly aggressive rates. In general, we will always recommend choosing a shared hosting solution. They offer the best quality/price ratio. Cloud or VPS hosting is generally more expensive and will be of interest to professionals or startups with significant needs. VPS hosting offers offer unlimited bandwidth and premium hosting service. These offers promise dedicated performance thanks to a powerful server. We will recommend this type of offer to web professionals who have already acquired a significant amount of traffic and want to have an optimal page loading speed. Considerations that will be of little interest to novice webmasters. We cannot recommend free hosting. Indeed, these offers are often very limited and do not allow you to do what you want. The domain name can be coarse (a sub-domain of a CMS known as.wordpress.com), it does not inspire confidence and does not look professional. In addition, the possibilities of personalization are extremely limited (aesthetics of the site, theme, presence of the host’s logo, reduced bandwidth, etc.). That is why we advise you to look at the offers offered at the beginning of this comparison. However, if you would be interested in a free offer, Planethoster offers one: you can try it by clicking here.